The mums of Britain are being let loose behind the wheel of tanks and trucks as bookings for unique driving experiences go through the roof around Mother’s Day. Among the awesome vehicles that the mums of Britain are increasingly experiencing include huge HGVs and mighty military machines such as Chieftain Battle Tanks and armoured personnel carriers. 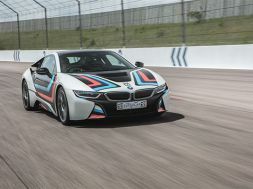 Dan Jones, Project Manager at TrackDays, said: “Unique driving experiences spike around Mother’s Day, up 15 per cent compared to other times of the year, indicating that Brits want their mums to test their driving skills in some of the most unusual and powerful machines possible. 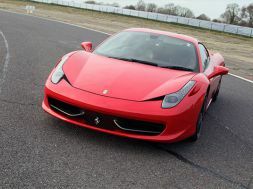 Yet while bookings for unique driving experiences are proving especially popular, they still have some catching up to do to match the traditional favourites that includes flowers, jewellery and clothing. Indeed, generous Brits are now thought to spend around £600 million on Mother’s Day gifts, a sizeable increase in spending from when the modern Mother’s Day tradition started in the US just over a century ago. In that time, it has grown to be celebrated by more than 40 countries around the world, with celebration dates varying, and blossomed to be a multi-billion dollar industry. Dan added: “There’s nothing wrong with giving mum some flowers or jewellery, but our increase in bookings suggest that Brits are getting bored with traditional gifts. To book a Mother’s Day driving experience or one of many gift experiences including dining out and spa days, visit our Mother's Day Gifts section.